BlueJ 4.2.0 is now available for download. This is the first release to move beyond Java 8. It targets Java 11, and features support for the var keyword added in Java 10. For more information, especially about the 64-bit operating system requirement, see this thread. BlueJ 4.1.4 fixes a memory leak that caused BlueJ to slow down after some time of editing files. The error only appeared on some installations, but when it did it caused BlueJ to become inoperable after a time of working with it. The error was caused by a memory leak in a library update of third party component we are using. It is now fixed. We recommend that all users upgrade to this new version. BlueJ 4.1.3 has now been released and is available for download. This fixes various minor bugs, especially in the Git support. We recommend upgrading. If you weren’t aware, BlueJ has had Git support since the release of version 4.0.0, as part of our support for Teamworking. You can use this approachable Git interface to develop BlueJ projects with GitHub, GitLab or any other Git provider. BlueJ 1.0.0 was released on 23rd August 1999, meaning that today is the 19th anniversary of that release. We are pleased that BlueJ has remained relevant and popular over that time period, with usage still steadily growing. Thanks to all our new users, but especially to all our long-time users – we apologise if this makes you feel old! We are busily working on version 4.1.3, which we expect to be released in September. BlueJ 4.1.2 has now been released and is available at bluej.org. Adding an Interactive Tutorial. It is under Help menu -> Interactive Tutorial. Fixing many printing problems, especially for Java editor. Fixing occasional exceptions/bugs related to compilation. Fixing Git support issues, especially with sub-packages on Windows. More details are available at this post. BlueJ 4.1.1 has now been released. This fixes Java editor and printing bugs. Available at bluej.org. BlueJ 4.1.0 has now been released. This fixes some graphical display bugs present in 4.0.x. Available at bluej.org. More details are available in this post. A new version of BlueJ with many bugs fixes is now available for download. A full list of fixes and improvements here. Get BlueJ 4.0.1 here. You may have noticed a new logo appearing on the splash screen for the just-released BlueJ 4.0: King’s College London. The BlueJ group was at the University of Kent for the last 12 years, and we have a pretty stable team, with a number of very competent developers who have been with us for a long time. From February 2017, most of us have moved to King’s College London, a university in the centre of London. This will be the new home of the project. We will still have a small presence at Kent – Ian will stay there – while Davin, Amjad, Neil and Michael have moved. This is an exciting move for us. Development of BlueJ will continue as before. Oracle are, as always, very supportive and are continuing support for our team to make further development and support of BlueJ possible. Expect more exciting BlueJ releases to come out of King’s in future! A new version of BlueJ with many new features, including the new language Stride, is now available for download. BlueJ version 4 has now been released. This version includes numerous new features, including the brand new Stride editor and language, support for JavaFX development, a rewritten interface, support for version control via GIT, and more. We will talk about several of the new features separately and in more detail here in the Blueroom over the next few weeks, giving you more information and a chance to tell us what you think. Until then, get the new BlueJ 4 here. BlueJ 4 Preview 2 is now available for download, providing many improvements over Preview 1. While this release is still a preview, it is now getting much closer to the final release version. In Preview 1, we added Stride to BlueJ, including the new frame-based editor. 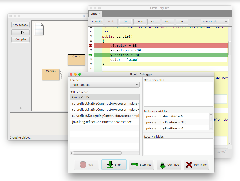 In Preview 2, we did a lot of interface re-design and polishing, including rewriting the BlueJ interface in JavaFX. 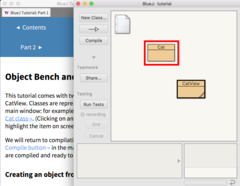 BlueJ 4 Preview 2 is now available for download from the BlueJ website. Waiting for BlueJ to support Git? We have just released the BlueJ 4 Preview. Frame-based editor: an explanation of frame-based editing, and more information on our new editor, is available here. Automatic error display in Java code, and switching to red-underline + tooltip. You can get BlueJ 4 Preview and post any feedback in this discussion thread. The sixth edition of the BlueJ book is about to be published. 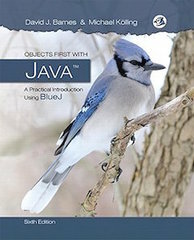 It’s been a long time since the last edition of the BlueJ textbook - almost four years. But finally we got around to write a new edition that updates the book and brings it in line with current Java language constructs. If you want to know in more detail what is new in the book, you may like to read this short overview of changes. The new edition is currently in production, and should be available in the first or second week of May. 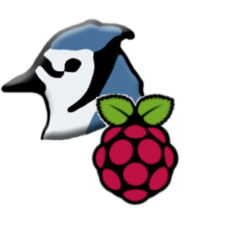 BlueJ is now part of the standard Rasbperry Pi image. 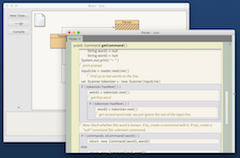 Now you can use your Raspberry Pi as a complete Java development machine with BlueJ (no need for a separate machine). With BlueJ on the Pi you can control the Pi’s hardware interactively. The BlueJ team have released BlueJ version 3.1.5. This release includes support for the Raspberry Pi 2, and several bugfixes and improvements.